Call Us01522 842 800Email usSay Hello! Around this time two years ago Facebook was full of people pouring freezing cold water over themselves or others. 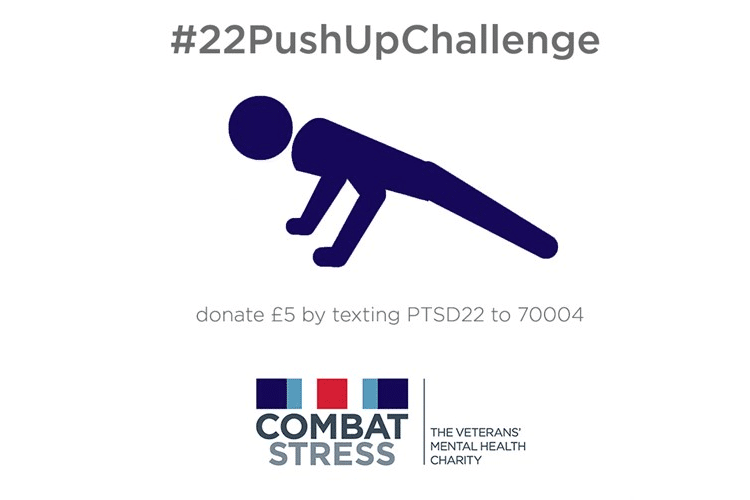 This summer, it appears the #22PushUpChallenge in aid of Combat Stress is the latest awareness campaign to capture the imagination. But why? What has made these two campaigns so successful? As someone involved in marketing, I am always trying to make things as simple as possible. If you want people to buy your product, dine at your restaurant, choose your IT company over another, then you need to give them clear and persuasive reasons to do so. The simpler your messages, the easier they will be to communicate to people. What the ALS ICE Bucket Challenge and #22PushUpChallenge campaigns have done so successfully is to identify what their most persuasive key messages should be. Then they came up with a simple, accessible, easy and shareable way to communicate those messages. In the case of the push up challenge, a US Marine decided that because 22 veterans with Post Traumatic Stress Disorder commit suicide each day, he would raise awareness of this by filming himself doing 22 push ups a day for 22 days. He published the videos on Facebook. After seeing the videos, lots of other people decided to do the same; most likely for several reasons. They wanted to support a worthwhile cause – donating to Combat Stress or funding research into Amyotrophic lateral sclerosis, also known as motor neuron disease. Perhaps, it was because both activities were fairly simple things to do – pouring cold water over someone or doing push-ups don’t take long to set up and the instructions are really clear. There’s an element of enjoyment and fun in both, especially watching the expressions and reactions of someone when ice cold water hits them! The light hearted nature of the campaign and the use of video are ideal for sharing across social media. The footage and photos taken by onlookers was perfect for YouTube, Instagram and Twitter as well as Facebook, which further increases the campaign’s reach. Both campaigns gained momentum quickly as there was a sense of urgency. In the ICE Bucket Challenge people had to act within 24 hours of being nominated, which allowed the campaign to spread. The push up challenge is more of a commitment but people are doing it and 22 days highilghts the number of daily suicides and increases the chance of people seeing the videos. A final thought, is that both campaigns make people feel better. Participants are helping genuinely good causes and having a good experience at the same time. There’s also a sense of community, being part of a group of people all taking part in the same activity. Receiving that nomination invites you to join the community, which is a very powerful motivator – we like to be involved in things that our friends are doing and don’t want to be left out. Capturing people’s imagination and encouraging them to participate in something is really difficult and for every #22PushUpChallenge or ALS Ice Bucket Challenge there are lots of less successful campaigns but by keeping things simple and trying to include an element of fun, urgency, sharing and reward you’ll have a better chance of engaging with people. Our success in promoting Festival800, a city-wide celebration of Magna Carta’s 800th anniversary, has been recognised by the Chartered Institute of Public Relations (CIPR). Our campaign for the cultural response and celebration of Magna Carta, which took place in August 2015, has been shortlisted in the Best Integrated Campaign and Best Arts, Culture and Sports categories of the CIPR PRide awards, which celebrate outstanding Public Relations activity across the UK. 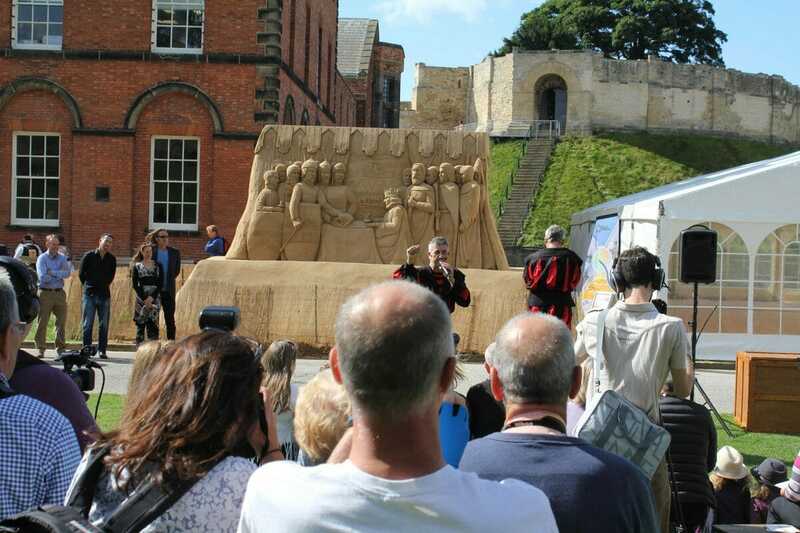 Organised by cultural solutions UK on behalf of Lincolnshire County Council and supported by the National Lottery through Arts Council England, Festival800 offered ten days of live music, comedy, spoken word, street theatre, lectures and debate. Artists such as Billy Bragg and the Levellers; author, screenwriter and comedian Shappi Khorsandi; YouTube sensation Alfie Deyes; Poet Laureate Dame Carol Ann Duffy, DBE, FRSL; were joined by a host of national and international artists and human rights activists, including the family of US Civil Rights Icon, Rosa Parks, in Lincoln for the festival. The CIPR PRide Awards recognise the best in public relations across the nations and regions of the United Kingdom. Over 1,000 entries were received from freelancers, agencies and in-house teams the length and breadth of the UK. Lava, which is the only agency from Lincolnshire to be shortlisted, will find out if they’ve won either award on 24th November. All Hallows Eve, traditionally the initiation of the triduum of Hallowmas, the time in the Christian calendar to remember the dead. Now, you are more likely to find people apple bobbing, scary themselves silly on spooky city tours or dressing up like a creepy (for creepy, read slutty) nurse and drinking red shots through a fake syringe. Here at Lava, we know that Halloween is a great opportunity to create some great PR – just check out our Hallo’win pumpkin carving competition on Facebook. This tongue in cheek occasion can help all sorts of brands reach their target audiences in the run up to 31st October. You just need to log on to Twitter to see how many people have jumped on the Halloween bandwagon. PR lessons from… Miley Cyrus? If you haven’t heard of Miley Cyrus, the likelihood is that you have been living under a rock in the Sahara for the past few months. At just 20 years old, the former Disney star boasts a global profile many brands would kill for. Google turns up over 883 million results and 14.4 million people follow her on Twitter. Not bad for a reasonably talented young pop star. Admittedly, she has been given a headstart on most of us – her role in Hannah Montana and famous father have undoubtedly helped catapult the American to stardom – but her dramatic ascent to global fame contains a number of important lessons for anyone PRO. A touching true-life tale of long lost family provided us with a unique opportunity to strengthen the Orders of St John Care Trust’s (OSJCT) reputation. Marmite’s latest TV advert in which a spoof rescue team saves ‘stricken’ jars of the yeast extract from Britain’s homes has caused a serious stir. Within the first 24 hours of its release last Monday, the ad attracted 250 complaints to the Advertising Standards Agency and was dubbed as ‘offensive’ and ‘tasteless’. Marketing Help Is Just A Click Away!